Financial responsibility is at the core of what we do every day at H.O.M.E. We take great care to be good stewards of the generosity received from our funders. 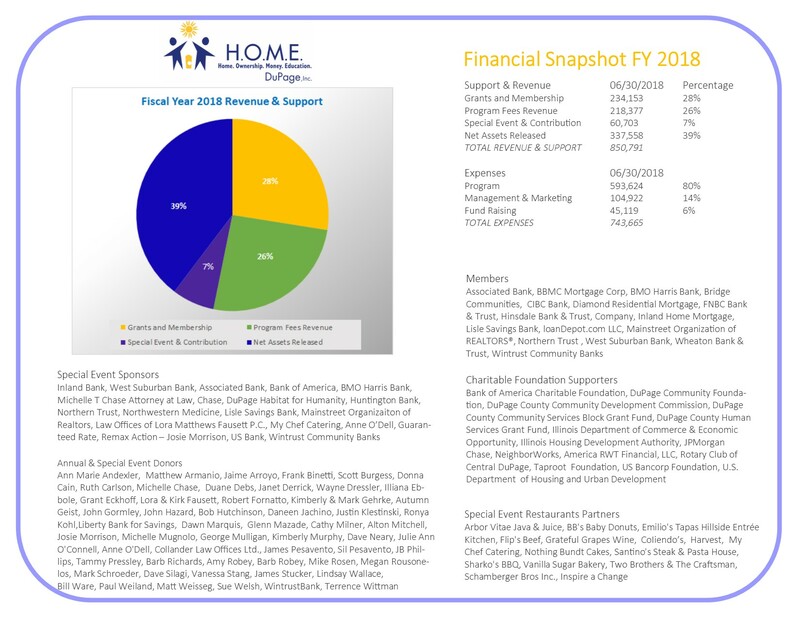 While providing the most comprehensive, up to date programs for our clients, we are proud to report that from each dollar received 80 cents is dedicated to client services. Our services are offered to all residents of DuPage County. Workshops, counseling and coaching sessions are free of charge. A nominal fee is required for some services to cover the cost of required textbooks and credit reporting fees.